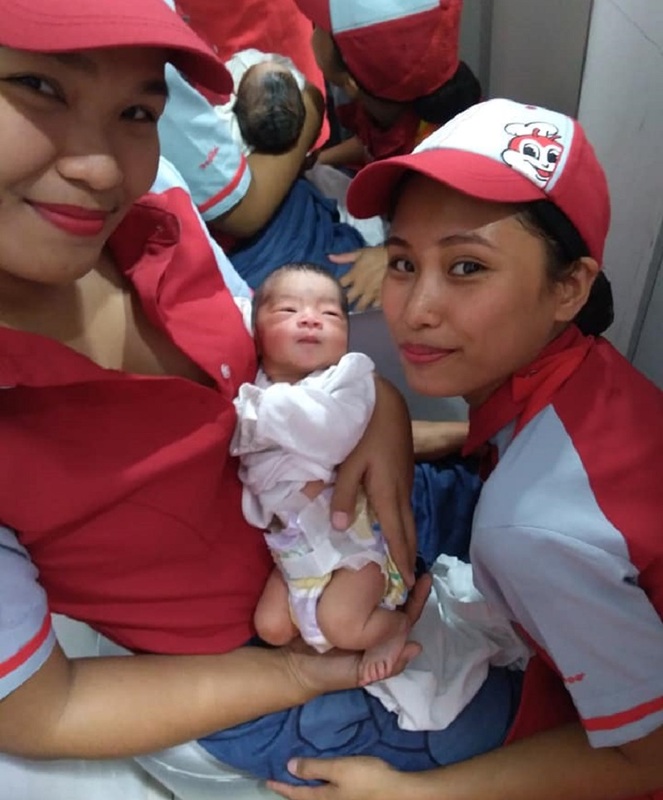 A baby found abandoned outside a popular fast food restaurant in the Philippines, received special care and attention from the store’s staff. The baby boy was reportedly found outside a Jollibee store in Imus, Cavite and brought in by a traffic warden. 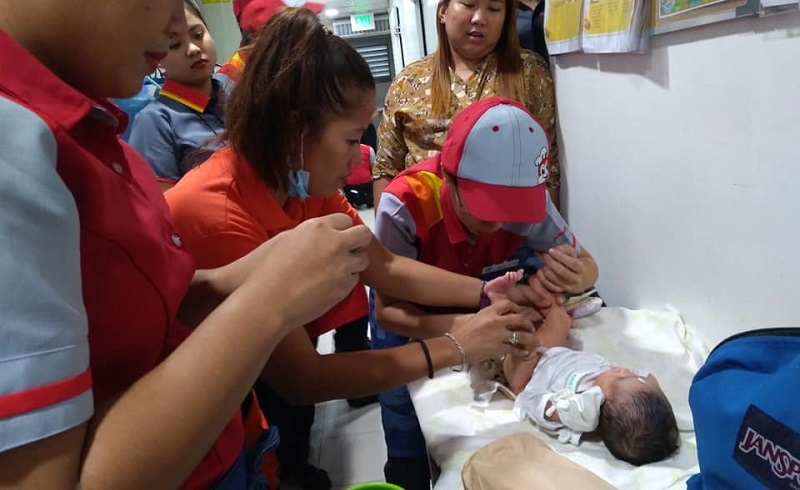 While waiting for the local social service authorities to arrive, staff members at the outlet worked together to care for the baby boy by changing his diapers and keeping him warm. The supervisor of the store even kept the infant from going hungry by breastfeeding him. Jesica Tan Verano, a Jollibee employee, shared photos of the incident in a Facebook post which has since gone viral. “Whoever left this baby near Jollibee in Imus, you are accountable to God. The baby is so cute! I want to cry because his parents abandoned him,” Verano wrote in the photos’ caption. “The Department of Social Welfare and Development (DSWD) will take him, but I want to have this baby!” she added. Several staff members of the store can be seen caring for the boy in Verano’s photos. “He appears to be a newborn as there are still traces of blood on his head. It looks like someone cleaned him in a hurry then abandoned him,” Verano was quoted as saying in an interview with ABS-CBN. Local authorities are now trying to locate the parents while the baby is under the care of DSWD.